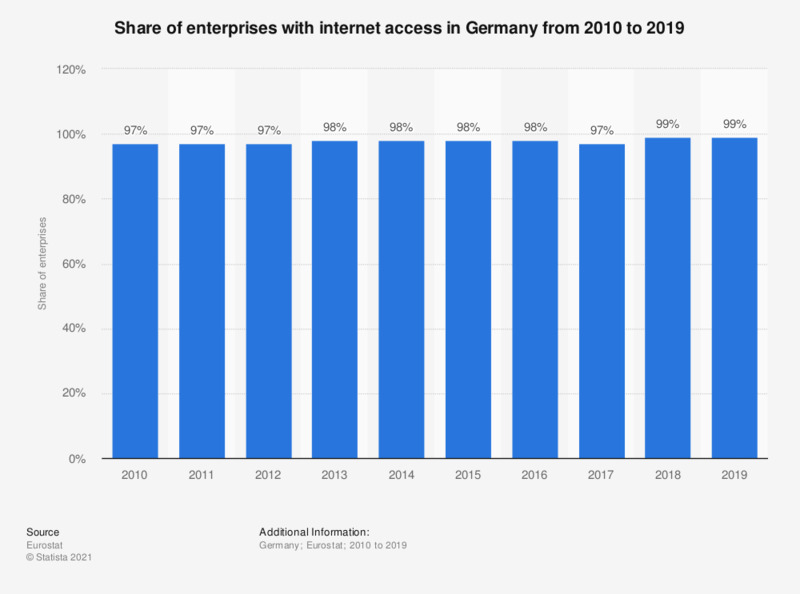 This statistic shows the share of enterprises in Germany that had access to the internet from 2010 to 2018. Internet penetration grew in Germany during this period. In 2018, 99 percent of German enterprises had internet access.